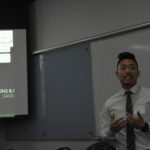 The Illinois Academy of General Dentistry (ILAGD) and the Academy of Dentistry International (ADI) held the 2018 D-4 Case Presentation Competition at the University of Illinois at Chicago College of Dentistry. 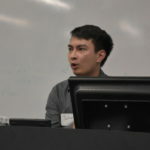 The D-4 student presenters were Clara Bajzek, Samuel Kang, Dan Pagel, Gayatri Satam, Brian Smith, and John Tran. 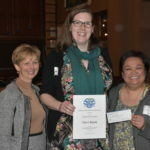 ILAGD members Drs. 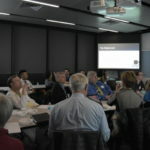 Sue Mayer, Scott Miller, Cheryl Mora, Ed Tobias and Ben Youel were judges for the event. 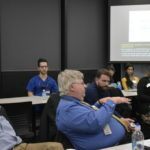 UIC COD faculty judges were Drs. 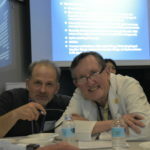 Jim Bryniarski and Michael Spector and Midwestern CODM-IL faculty judges were Drs. 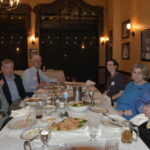 Marsha Babka, Andrew Brower, Theresa Lao, Ann Marcotte, and Larry Williams. Dr. Christopher Zwiercan, Assistant Clinical professor at UIC COD assisted the ILAGD with choosing the students for the competition. 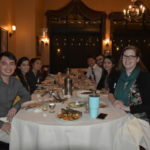 The student representatives for the ILAGD Student Chapter that also attended the event were Nicolae Brown, DMD-3, Cassie Mora, DMD-2, Kailyn Shultz, DMD-2, Asima Chughtai, DMDAS-4, and Malik Al-Grouz, DMDAS-3. Dan Pagel, DMD-4 and the ILAGD student organization President was one of the presenters. 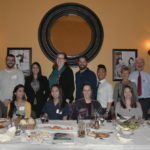 The students presented a patient case and were judged on the quality of the presentation including the comprehensive exam, diagnosis, photography, models, treatment plan, outcomes, and their ability to answer questions. All the students had excellent presentations which made the judging very difficult. 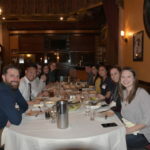 After the presentations, the students and volunteers went to dinner at Pompeii on Taylor and the scholarship prizes were awarded. 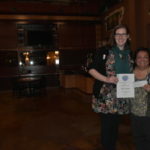 The third place prize of $100 was given by ADI to Clara Bajzek. 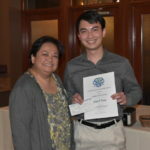 The second place prize of $200 also awarded by ADI was awarded to John Tran. 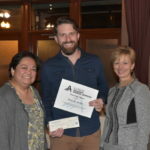 The first place prize of $300 was given by the Chicago Academy of General Dentistry and was given to Brian Smith. 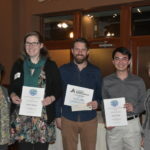 Congratulations to all the students on their excellent presentations and many thanks to the IL AGD volunteers, and the UIC COD and MWU faculty who participated in the event.